A Perfect Stocking Stuffer or Office Party Gift! 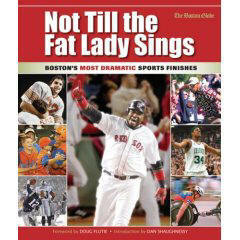 The Most Dramatic Sports Finishes of in Boston Sports History chronicles 50 of the most memorable moments in Boston sports. Vibrant full-color photos, statistics, quotes and stories offer fresh details on some of the most famous events in Boston history. The Intellectual Devotional: Revive Your Mind, Complete Your Education, and Roam Confidently with the Cultured Class.